It’s hard enough to get the kids to eat their veggies, let alone eat an entire meal made out of them! 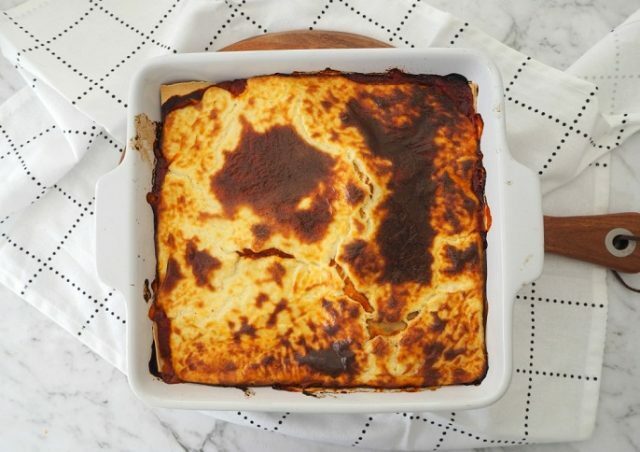 That’s why this tasty pumpkin & spinach lasagne is basically a dream come true. Not only will my recipe feed the whole family, it’s also criminally easy to whip together. The hardest part is roasting your pumpkin pieces (which isn’t even hard at all – you can even do the day before if you like!) and then all you have to do is layer them and the rest of the ingredients with some Heinz Tomato and Pesto Lasagne Bake Sauce into your baking dish, add the cheese topping and bake! 1.5kg of pumpkin which has been peeled and cut into 3 cm pieces.